How do I buy a 101 Mobility Franchise? 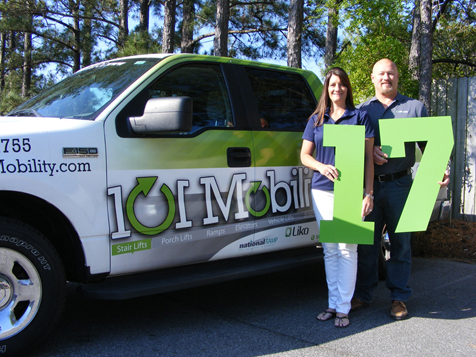 Buying a 101 Mobility franchise requires an investment amount between $32,000 and $63,000, depending on the territory. Prospective franchise owners need to have skills in customer service, relationship-building, organizational, and business management. 101 Mobility will provide the tools and training including a 10 day training course, access to our online Learning Management System, and other remote learning methods, access to the 101 Mobility trademarks, exclusive operational tools, and supplier contacts. The Nation's Leader in Independence. Franchise Fees can range from $43,500 to $68,500 or more, depending on population size, with a total investment range of $116,560 to $215,120. Open 101 Mobility in any of these available states: AL, CA, FL, ID, IL, LA, MA, MI, MS, NE, NV, NM, NY, OR, RI, VT, WA, WI, WY. 101 Mobility’s core business is comprised of selling, renting, installing and servicing products that help the disabled and elderly with mobility related issues as well as providing the ability for the older retired or ill to age at home for as long as possible. 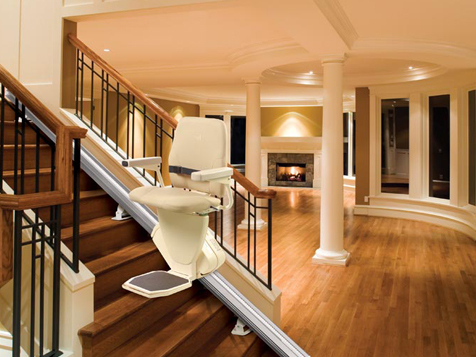 Our products include stair-lifts, auto-lifts, porch-lifts, elevators, wheelchair ramps, patient lifts, scooters and more. 101 Mobility offers franchisees an alternative to the already over-saturated elder care industry. 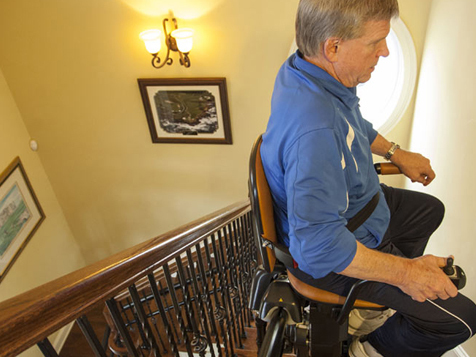 The system provides an avenue to capitalize on the growing number of aging baby boomers who prefer to age at home and the existing base of persons with mobility related disabilities. Business owners take advantage of our tier one pricing with industry leading product vendors, national contracts and referrals including a VA FSS contract, a proprietary end to end operating system, branded and proprietary product offerings, and our in-house world class marketing team. Our system is made for franchisees who want to grow big businesses. We have a proprietary operating system that provides a franchise owner the ability manage all aspects of their businesses. Our marketing department is triple the size of many franchise systems and is focused on customer acquisition and retention. We have a two-week in house and ongoing training program focused on not only the products, but also how to make the most from sales and run your business profitably. In addition to a franchisees local feet-on-the-ground and B2B marketing, the corporate marketing department works as one source of leads and they make the phone ring on average 6,000 times per month across the system. We provide all franchisees with a launch team and on-going 1 on 1 support for all aspects of their businesses. There are 80 million baby boomers entering retirement over the next 20 years, a US citizen turns 65 every 7 seconds and polls show most retirees would prefer to age in place. 12,343 US citizens will turn 65 today and American seniors are the wealthiest ever. Additionally 30.6 million Americans have difficulty climbing the stairs, or use a wheelchair, cane, crutches or walker as assistive devices. Our system is positioned for high growth and our owners are reaping the benefits. One of few national brands, and the dominant franchise brand in the mobility and accessibility industries. “Feel good” business. Do good things and help people while making money. As a 101 Mobility® franchisee, you can develop your business for yourself, but you don’t have to do it by yourself. Fill out the form below for more information!